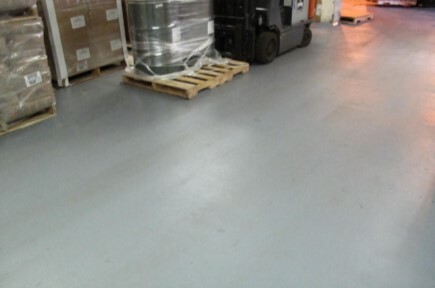 Urethane floor coatings are designed for indoor and outdoor applications, industrial floors and commercial floors. Urethane floor coatings maintain a high gloss appearance, never yellows over time, stain resistant, and chemical resistant even to the harshest chemicals. Industrial urethane floor coatings or commercial urethane floor coatings are best applied on top of an epoxy floor coating. The epoxy floor coating acts as a primer and adheres to concrete creating a tight bond layer. Urethane coatings are frequently used in airplane hangars, truck garages, auto dealerships, retail stores and in environments where appearances are important and the general public is present. Contact Concare today to discuss your industrial urethane floor coating or commercial urethane floor coating.